On Thursday, Obama will return to Cooper Union in New York where he announced during the 2008 campaign his intentions to reform America‘s financial institutions. He is expected to announce a major overhaul of the regulatory system dealing with financial markets. To prime the pump, so to speak, the FCC has filed a criminal complaint against the investment giant Goldman Sachs. A number of legal experts have questioned the merits of the government case, some suggesting that the charges may be politically motivated. Whatever its merits or outcome, the case will be used to further vilify the banking and investment industry to promote public opinion in favor of more stringent regulations. Control over the financial sector of the American economy is essential to the long-range plans of President Obama and his progressive supporters to transform America into an Americanized version of European Socialism. With the nominal control he already has over energy, health care, education, housing and transportation through bureaucratic regulations built up over the past century he only has a few more to go and his dominance over the nation’s economy and its citizens will be complete. One way of viewing his presidency in the short time he has been in office is that he is merely putting the finishing touches on the work done by progressives (American socialists) since the Administration of William McKinley. Of the remaining major hurdles still ahead for the Democrats before the November elections, Cap and Trade, Comprehensive Immigration Reform, and finance reform, finance reform will probably do less damage to the Democrat Party than the other two. Most of us do not understand the intricacies of macroeconomics and it is easy to fall prey to the MSM and Democrat propaganda demonizing the banking and investment industry. There is little comfort in the knowledge that the average member of Congress understands basic economics even less. Some Republicans are already dusting off the slogan used to pass the bailouts and stimulus packages of the past two years, “something has to be done”. According to Reuters, the “legislation under discussion would impose the sharpest regulatory crackdown on banks and capital markets since the Great Depression”. It is highly doubtful that Senate Republicans will be able to filibuster the legislation when, according to the latest Rasmussen polls, 54% of the American people distrust the banking industry. The issue is tailor made for the Democrat/socialists strategy of capitalizing on the natural class envy that promotes class warfare. In addition to the doomsday predictions so familiar from the debates over bailouts, stimulus and health care, if we fail to act, a new one will be added in Obama’s Thursday speech. He will promise to end the business cycles that are inherent in Capitalism. This can only be accomplished through tight regulatory control by the government over the financial markets. The problem with this fantasy is the fact that no individual or group of individuals has the intellectual capacity or management skills to manage an economy the size of ours. Efforts to do so can only end with the same results as those in other socialist countries where it has been tried. Constitution Slogans Are Not Enough! Posted on April 18, 2010 by Jerry McDaniel | Comments Off on Constitution Slogans Are Not Enough! Since its inception in 2007, Illinois Conservative has been dedicated to promoting the Constitution and returning it to its rightful place as the supreme law for our government. At the time, the Constitution was seldom mentioned in political speeches or the media, except in passing. Since then, an awareness of the Constitution has become widespread, especially among conservatives. Republicans running for elective office in 2010 routinely make references to the Constitution in their stump speeches. Protesters at tea parties and town hall meetings express demands for a return to the Constitution. These demands are usually expressed as slogans: “smaller government”, “lower taxes”, “strong national defense”, etc. Neither protesters nor candidates define what these slogans mean. The Tenth Amendment limits the role of the federal government to the legislative and taxing powers delegated to it by the Constitution. The bulk of these powers are found in Article I, Section 8. Clause one specifies the purposes for which Congress is permitted to levy taxes. Clause 19 specifies the types of laws Congress is authorized to pass. Following is an exhaustive list of all the powers and responsibilities delegated to Congress by the Constitution, including those found in Article I, Section 8 and “all other powers vested by this Constitution”. 1. Determine manner of conducting census. Art. 1, Sec. 2, Cl. 4. 4. Make laws concerning elections of members of Congress. Art. I, Sec. 4, Cl. 2. 5. Determine annual date on which Congress shall convene. Art. I, Sec. 4, Cl. 3. 6. Judge elections, returns and qualifications of members of each house. Art. I, Sec.5, Cl. 1. 7. Determine rules of proceedings, punish misbehavior and expel members. Art. I, Sec. 5, Cl. 3. 8. Keep and publish journal of proceedings. Art. I, Sec. 5, Cl. 4 and 5. 9. Determine compensation of members. Art. I, Sec. 6, Cl. 1. 10. House of Representatives originate all revenue bills. Art. I, Sec. 7, Cl. 1. 11. 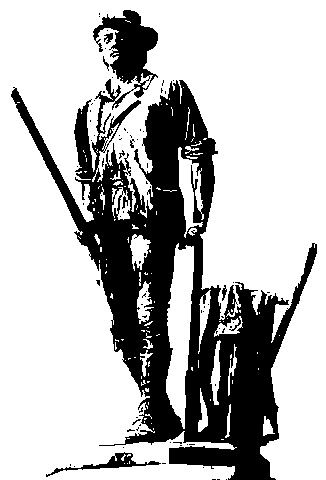 Lay and collect taxes, duties imposts and excises. Art. I, Sec. 8, Cl. 1. To provide for the general welfare. 12. Borrow money. Article I, Section 8, Clause 3. 13. Make necessary and proper laws for executing its delegated powers. Art. I, Sec. 8, Cl. 1 -19. Regulate international and interstate commerce. Clause 4. Rules of naturalization. Clause 5. Rules of bankruptcy. Clause 5. Coin money and regulate value. Clause 6. Fix standard of weights and measures. Clause 6. Provide for punishment for counterfeiting U.S. securities and money . Clause 7. Establish Post roads and Post Offices. Clause 8. Issue patents and copyrights. Clause 9. Constitute tribunals inferior to the Supreme Court. Clause 10. Administer government of District of Columbia. Clause 18. Purchase land for erection of necessary government buildings. Clause 18. Define and punish piracy and felonies committed on the high seas. Clause 11. Define and punish offenses against the laws of nations. Clause 11. Make rules concerning captures on land or sea. Clause 12. Raise and support armies. Clause 13. Bi-annual appropriation of military and defense funding. Clause 13. Make rules for governing and regulating land and naval forces. Clause 15. 14. Determine date for choosing presidential electors and the date of their voting. Art. II, Sec.1, Cl. 16. 15. Delegate appointment authority for non-constitutional offices to President, courts, or department heads. Art. 2, Sec. 2, Cl. 4. 16. Establish punishment for treason. Art. 3, Sec. 3, Cl. 3. 17. Determine how acts, records and proceedings of states are to be proved and their effects. Art. IV, Sec. 1, Cl. 2. 18. Admit new states into Union. Art. IV, Sec. 3, Cl. 1. 19. Dispose of and make rules for territories or other property of U.S. Art. IV, Sec. 3, Cl. 4. 20. Guarantee a Republican form of government to every state. Art. IV, Sec. 4, Cl. 1. 21. Protect states against invasion. Art. IV, Sec. 4, Cl. 2. 22. Protect states against domestic violence, when requested to do so. Art. IV, Sec. 4, Cl. 2. 23. Propose Amendments to Constitution. Art. V.
24. Support the Constitution of the United States. Art. VI, Cl. 5. Nowhere in this list will you find any reference to health care, energy, education, insurance, banking, or any of the myriad issues the federal government has claimed power over during the twentieth century. The slogan, “smaller government” means a government big enough to carry out its delegated responsibilities but no bigger. “Lower taxes” means taxes necessary to adequately fund the delegated functions of government but not one dollar more. Comments Off on Constitution Slogans Are Not Enough! VIDEO: Is the President of the United States a Fraud? The next big debate on health care is likely to be about “nullification” and the supremacy of federal law over state law. Some forty states have expressed their intent to resist various provisions of the Health Care bill passed by Congress. Some have instructed their Attorneys General to file suit in federal court challenging the Constitutionality of the mandate for individuals to purchase health insurance. Others have passed or proposed resolutions contesting Congress’ constitutional authority regarding other provisions. Several have simply passed laws or resolutions stating that certain provisions in the new law would not be enforced in their states. This practice is known as “nullification”. 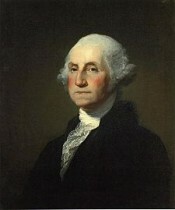 “This Constitution, and the Laws of the United States which shall be made in Pursuance thereof; and all Treaties made, or which shall be made, under the Authority of the United States, shall be the supreme Law of the Land; and the Judges in every State shall be bound thereby, any Thing in the Constitution or Laws of any State to the Contrary notwithstanding“. 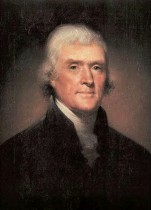 When President Jefferson took office in 1801 he pardoned everyone convicted under the Sedition Act. Since the Act was scheduled to expire at the end of Adam’s term in office the need for nullification died with it and a Constitutional crisis was avoided. Chief Justice John Marshall, in the landmark case “Marbury vs. Madison (1803) ruled that “a law repugnant to the Constitution is void”. This was the first Act of Congress declared to be unconstitutional by the Supreme Court and established the doctrine of “judicial review”. While the Marshall Court claimed the power to render judgment on the constitutionality of laws passed by Congress it did not deal with the right of states to do the same. The next major confrontation between Congress and the States came in 1832 and led to the “Nullification Proclamation” by Andrew Jackson. The State of South Carolina, in opposition to the tariff acts of 1828 and 1832 passed a proclamation stating that the tariff acts “are unauthorized by the constitution of the United States, and violate the true meaning and intent thereof and are null, void, and no law, nor binding upon this State.” After Jackson issued his Proclamation against South Carolina, Congress passed the “Force Act” authorizing the use of military force against any state resisting the tariff acts. Both South Carolina and Jackson prepared for military conflict over the issue, however, a compromise was reached in 1833 that defused the situation and avoided an actual confrontation. The most serious confrontation between the federal government and states was the Civil War. It is generally thought that the Civil War established the supremacy of federal law over state law for all time. The real lesson to be drawn from these historical instances of states resisting the authority of the federal government, whether constitutional or unconstitutional, is that the federal government cannot “back down” once it has established a course. With Obama in the Oval Office and a progressive Congress, it is not likely that it will back down in the case of health care. Even a casual reading of the “Supremacy Clause” limits it to laws made “pursuant” to the Constitution and, while the separation of powers in the Constitution and the Tenth Amendment, the Supreme Court ruling in Marbury vs. Madison, and the assertion that the powers of government ultimately come from the people as expressed in the Declaration of Independence, all support the right of the people and the states to nullify unconstitutional acts of Congress, it is the federal government that has the superior power of force. For that reason, nullification is not the real answer to Obama and Congress’ usurpation of power with the health care act and the other unconstitutional acts of this Congress. As the Kentucky Resolution acknowledges, “a change [of Congress] by the people would be the constitutional remedy”. It is also the only remedy available at the present time short of the use of force. It is important that as many progressives (American Socialists) as possible, in both parties, be tossed out in the next election. Those that are not fired in 2010 have to be gotten rid of in 2012. That is the only way we can preserve our republic and avoid a progressive oligarchy.